Just for lovers! A delightful 50 sq.m. living space full of love just for two. A two seated 'lover bird's cage' rattan seat dominates the suite overlooking the balcony with views across the Gulf of Thailand. A 'sala' housed at the end of the balcony is perfect for a romantic night in under the stars or just relax and enjoy a good book. 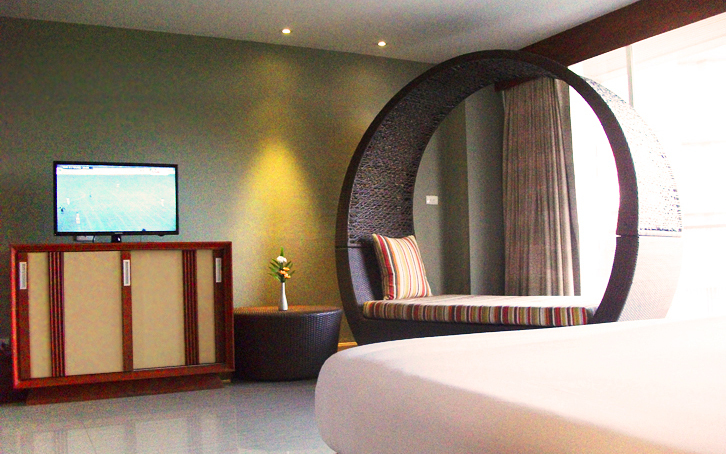 WE suite makes Long Beach Cha-am signature suites the lover's cozy choice when vacationing in Cha-am.